As a longtime sufferer of dehydrated skin, I know the struggles of midday flake (sorry), a lacklustre complexion and makeup that doesn't last past lunchtime. 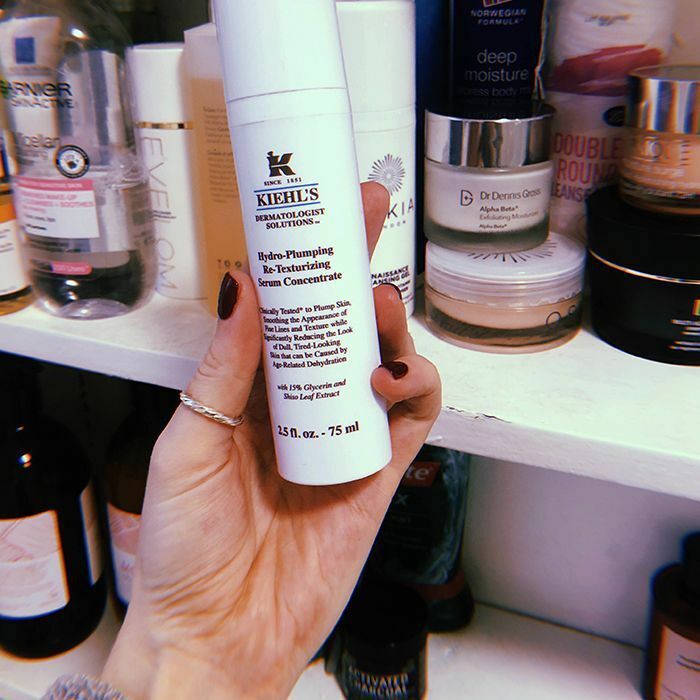 Over the years (and many serum tests), I've learned to feed my skin with hydration boosting products like hyaluronic acid, a super-moisturising acid that helps the skin to stay plump, wrinkle-free and basically leaves your face feeling baby soft. Until recently, I used hyaluronic acid daily, and it worked—until it didn't. So what next? I'm in a lucky position where beauty is my job, so I did some digging. I asked some beauty friends and beauty contacts and discovered that glycerin is another great ingredient to moisturise the skin from within, as it draws water from the air into the skin's outer layer. Like hyaluronic acid, it's a humectant and forms a protective layer to help prevent moisture loss. Essentially, it draws in moisture whilst simultaneously locking it in, leaving your skin feeling silky smooth. My first thought when pumping out a pea-sized amount was that it reminded of me the creams and emollients my mum had used on my skin as a child. I had eczema, and I remember the products she used on me feeling super hydrating and amazing (Kiehl's option does too). I've been using it morning and night, and apply it straight after cleansing but before layering my other serums and moisturiser on top. I'm currently using Lumene Nutri-Recharging Revitalizing Serum (£40) and Dr. Dennis Gross's Alpha Beta Exfoliating Moisturiser (£82) followed by SPF, by the way. In just a week, my skin's texture looked less dehydrated, and any traces of fine lines were less visible. I've been using it just over a month now, and I can honestly say my skin looks and feels less dehydrated. After applying it, I'm left with a smooth, even base to apply my makeup products, and the midday-makeup fail just doesn't really happen anymore. The temperature has massively dropped in London, and normally, my skin plays havoc when the weather does, but this year, glycerin is proving to be my saviour. What glycerin products do you love? Let us know in The British Beauty Line.